In a statement to EnergyChoiceMatters.com, Direct Energy said, "Direct Energy will be seeking a hearing to clarify factual and legal matters with today’s [9/11/18] order. This matter is a result of a five-year review of our sales and marketing practices, in which we demonstrated our efforts to achieve compliance, improved our processes and immediately addressed any issues to the satisfaction of our customers." The NOV states, "the Public Utilities Regulatory Authority (Authority or PURA) has reason to believe the existence of facts, described below, that support the imposition of civil penalties against Direct Energy, LLC (Direct or Company) for violations of Conn. Gen. Stat. §§16-245, 16-245o, 16-245s, and 42-110b." The NOV states, "The Authority is issuing this Notice of Violation and Assessment of Civil Penalty against Direct in which the Authority orders Direct to pay a fine in the amount of one million five hundred thousand dollars ($1,500,000), prohibits Direct from accepting new customers for six months pursuant to Conn. Gen. Stat. §16-245(k) and §16-245o(k), and requires Direct to submit to auditing of marketing by the Authority for one year after the end of the six month prohibition on accepting new customers." The NOV states, "After extensive discovery, the Authority has reason to believe that evidence exists to support findings that Direct violated several consumer protection statutes over a multi-year time span, including evidence that Direct: 1) did not have Spanish marketing materials available when conducting solicitations and sales; 2) did not have Spanish-language contracts available when conducting solicitations and sales, resulting in invalid contracts; 3) misstated standard service price; 4) did not state in its marketing that it did not represent an electric distribution company (EDC); 5) did not explain the purpose of its solicitations; 6) misrepresented cancellation fees; 7) used undefined terms and did not accurately explain rates; 8) implied customers must choose a supplier; 9) misled customers into believing generation charges were the total bill; 10) coached customers and answered questions through the third-party verification (TPV) process; 11) charged excessive cancellation fees; 12) did not directly train its third-party agents; and 13) engaged in other unfair and deceptive marketing practices." The NOV states, "Conn. Gen. Stat. §16-245o(h)(3)(B)(i) requires any electric supplier to accurately disclose the price of standard service. The record contains marketing calls made by Direct in which its agents did not state the price of standard service and calls in which they misstate the price of standard service. Tr., pp. 837-853; Late Filed Exhibit 2C, p. 31; Late Filed Exhibit 2A, p. 121. ('[For] Connecticut Light & Power themselves about 16 cents is what they’re predicting at the top of the year.'). Direct concedes in its Reply Brief that its 'agents misstated the future Standard Service rate.'" The NOV states, "In addition, Direct characterizes standard service as a variable rate in its marketing. Late Filed Exhibit 2C, pp. 139-41, 144-45, 365, 377, 460, 554, 556, 614 and 635. See also, Id. at p. 400 ('[W]hen you just have Eversource as your company and no supplier, then that means Eversource can charge you whatever they want to on your bill...'). Conn. Gen. Stat. §16-245o(g)(4) banned variable rate contracts in Connecticut and it is actively misleading to characterize standard service as a variable rate when, by definition, standard service cannot be a variable rate under Connecticut law. Direct argues that when an agent describes standard service as a variable rate 'she is speaking colloquially.' Direct Reply Brief, p. 24. The Authority has reason to believe that this argument does not provide a legal excuse. First, the Authority notes the volume of Direct’s marketing calls in which the agents used the term variable rate. Second, under such a 'colloquial' definition, any rate that ever changes could be termed variable." The NOV states, "The Authority also has reason to believe that Direct has violated Conn. Gen. Stat. §16-245o(h)(2)(A) by its salespersons using language in many of Direct’s calls implying that Direct represents an EDC. This implication comes in differing forms. In some cases, Direct first tells a customer it is 'an energy adviser working with your electric company.' Late Filed Exhibit 2C, pp. 199 and 595. The Authority also has reason to believe that the violation has occurred once Direct has made such a statement, and that Direct cannot cure the violation by later stating its name in the sales solicitation conversation. See e.g., Late Filed Exhibit 2C pp. 116-118 (customer hands the phone to her son and says that Eversource is calling); pp. 36 and 37 (Direct clarifies its role for the first time as it is sending the customer to the third-party verification and the customer does not understand what is occurring)." The NOV states, "In other cases, Direct states, '[W]e're calling about the information on your Eversource electric bill on page 1. Have you reviewed that information by chance?' and then instructs the customer to get her Eversource bill. Id. at 664. The way Direct begins these types of calls implies that the call is sanctioned by or on behalf of Eversource." The NOV states, "In yet other cases, Direct states, 'We're the supplier for Eversource's energy choice program,' that it is part of Eversource’s program for its customers 'that allows you to have the lowest rate possible on your bill by choosing a supplier,' or that the EDCs 'encourage, you know, their customers to choose a supplier.' Id. at 118, 208-09, 449, 485, 603. Once again, the Authority also has reason to believe that Direct later stating its name does not cure any violation that may have occurred due to the salesperson implying that the call is from someone associated with the EDC, implying that Direct is the sole supplier working with an EDC, or implying that the EDC wants the customer to choose that supplier. In sum, the Authority has reason to believe that a supplier cannot rely on back-end compliance in a sales call of identifying itself by company name and as an electric supplier, after the salesperson may have violated the statute at the outset and during prior conversation by not stating that the caller was not representing an EDC, or by using language that strongly implies the call was from or authorized on behalf of an EDC." The NOV states, "Conn. Gen. Stat. §16-245o(h)(2)(A) requires every supplier and/or its agent to 'explain the purpose' of their solicitations. The Authority has reason to believe that Direct did not explain the purpose of its marketing calls and thus violated the statute. See, e.g., Late Filed Exhibit 2C, p. 21 ('The reason for the call is to let you know as of the next available meter reading with you Connecticut Light & Power Eversource electric account, if you still qualify, you'll be receiving a low fixed rate that is going to be about 25 percent lower than the regular rate and it's also going to make -- it's also going to be good for nine months if you qualify for through [sic] free state program.')." The NOV states, "The Authority also has reason to believe that Direct intentionally misrepresented the purpose of its solicitations. For example, 'Well, we're not calling you to switch anything. We're actually calling you about the information on your Eversource bill regarding the energy choice program.' Id. at p. 525. Or, when asked if the caller was a telemarketer, Direct said, 'No, I'm not at all.' Id. at p. 208. The Authority interprets the statute to require the salesperson to identify as affiliated being with an electric supplier, and not the EDC, and to clearly state that the purpose of the call is to solicit sales, i.e. to offer the customer electric services. The Authority also has reason to believe that this example, and others like it, do not meet the statutory requirements, and therefore, constitute violations." The NOV states, "The Authority has reason to believe that the following exchanges are examples of violations of Conn. Gen. Stat. §16-245o(h)(2)(A): When a customer states, 'No, I’m not interested in changing,' the agent’s [sic] responds: 'Well, no, you don’t change anything. Everything stays the same. 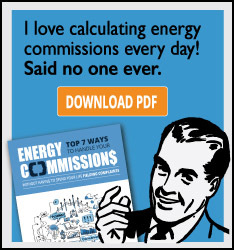 Your utility company’s still going to be your utility company.' The customer protests, 'I’m not interested, though.' The agent continues and the customer questions, 'Get my electricity from a different provider, correct, that’s what this phone call is about?' The agent answers, 'No not - - no, you’re still going to get your electric from Eversource.' Only when the customer says, 'Is this what you’re calling about, changing the generation company? Yes or no. It’s a simple answer,' does the agent state, 'We are an authorized supplier to Eversource.' Id. at pp. 77-79. Even at this point, however, the agent still does not explain the purpose of the solicitation, and that after the customer had to badger the agent into revealing what little information he did. See also, Id. at p. 555 ('Are you trying to get me change companies? THE AGENT [...]: No, ma'am, this is the same bill, same service. Again, this is Eversource's energy choice program.'). The Authority has reason to believe that these phones [sic] call exemplify what the legislature was trying to prevent when it set forth the requirements in Conn. Gen. Stat. §16-245o(h)(2)(A)." The NOV states, "Conn. Gen. Stat. §16-245o(h)(2)(A) requires every supplier and/or its agent to explain all fees during any solicitation. Conn. Gen. Stat. §16-245o(h)(7)(A) indicates that no supplier may charge a termination fee in excess of fifty dollars. The Authority has reason to believe that Direct violated both of these statutes by misstating to customers that other suppliers did not have a cancellation fee or that other suppliers had cancellation fees in excess of fifty dollars." The NOV states, "Direct admitted during hearings that its agents do not contact other suppliers regarding their cancellation fees, but that any information it gives regarding another supplier is gained from public information available on the Rate Board. Tr., pp. 435 and 436. Despite this admission, Direct agents can be heard telling customers that they will ensure the customer does not have a cancellation fee or saying it 'doesn’t look like' they have a cancellation fee. Late Filed Exhibit 4, Attachment A, [name redacted] Sales Call, Id. Attachment B at 2-3; Late Filed Exhibit 2A, p. 64; Late Filed Exhibit 2C, p. 606. Contrary to Direct’s assertions, checking information publicly-available on the Rate Board does not constitute ensuring that a customer does not have a cancellation fee associated with his particular contract." The NOV states, "Likewise, the Authority has reason to believe that Direct misstated to customers that other suppliers could have a cancellation fee in excess of fifty dollars or that it was illegal to have a cancellation fee in Connecticut. Late Filed Exhibit 4, Attachment B, pp. 465 and 466; Late Filed Exhibit 2C, pp. 58-59, 378, 386, 465 and 466. The Authority has reason to believe that it is illegal marketing to state that another supplier has an excessive cancellation fee to trick a customer into not signing with that supplier, and that it is also illegal marketing to imply that another supplier is engaging in illegal behavior by having a cancellation fee at all. . Direct attempts to argue that such statements can be qualified by words like 'probably' and 'my understanding.' The Authority has reason to believe that that use of the language 'probably' and 'my understanding' to qualify statements does not cure any related incorrect or misleading statements constituting violations of the statute." The NOV states, "Conn. Gen. Stat. §16-245o(h)(2)(A)(iii) requires suppliers to 'explain all rates, fees, variable charges and terms and conditions for the services provided.' Direct used the phrase 'price protection' in much of its marketing without ever explaining to a customer what the term meant. 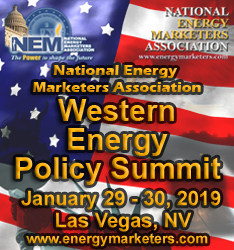 See e.g., Late Filed Exhibit 2C, p. 668 ('You don't have no price protection on the bill, so we do want to get the price protection applied at 7.49 cents per kilowatt hour for the next nine months, you know, since you don't have any protection.'). A reasonable customer may not understand what 'price protection' means, or worse still, may understand it to mean that Direct was protecting them from higher charges. As a result, the Authority has reason to believe that Direct violated Conn. Gen. Stat. §16-245o(h)(2)(A)(iii)." The NOV states, "The Authority has reason to believe that Direct also violated the statute by not accurately explaining all rates. For example, Direct stated during its marketing, 'Before the nine months is up, we're going to send you a letter within the last 30 days to renew at a lower fixed rate, so you never have to worry about your rate going up.' Late Filed Exhibit 2C, p. 463. The Authority has reason to believe that this statement is misleading because Direct explained its current rate in the context of a contract that would only lower and never increase. Direct was not offering the customer a guarantee that in nine months it would renew her at a lower rate. Nor was Direct going to lock the customer into a permanent deal in which her rate would 'never' go up." The NOV states, "Conn. Gen. Stat. §16-245o(h)(3)(B) states that a supplier shall not 'make any statement, oral or written, suggesting a prospective customer is required to choose a supplier.' 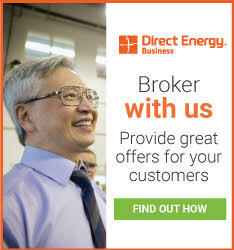 The Authority has reason to believe that Direct’s marketing suggests a customer must choose a supplier. For example, in one call Direct states, 'I do have to reach out to the whole state of Connecticut that has Eversource, so we have to go ahead and get it going.' Late Filed Exhibit 2C, pp. 116-118. Or Direct states, 'Because this is for all Eversource customers, the whole state of Connecticut. All customers are getting their price protected rate, because of the Energy Choice.' Id. at 144 and 145; see also, Id. at 632 and 633. 'Well, the information – the information is actually on your bill, ma'am, so you've already been mailed the information. You're already in the program, ma'am.' Id. at 403 (on the contrary, customers must actively choose a supplier to be 'in the program.'). 'It’s mandated statewide, you know, because of the state of Connecticut...' Id. at 616-17. Worse still, 'because [EDCs] actually encourage, you know, their customers to choose a supplier.' Id. at 118, 377 and 398. Such statements suggest that a customer must engage in the transaction. The Authority has reason to believe that these representations made by Direct sales agents violated Conn. Gen. Stat. §16-245o(h)(3)(B)." The NOV states, "The Authority has reason to believe that most of Direct’s calls involved an introduction that violated Conn. Gen. Stat. §16-245o(h)(2)(A) and then violated Conn. Gen. Stat. §16-245o(h)(3)(B) by a sequence of instructions that imply that the person must sign up with a supplier. The first instruction directs that the customer retrieve her electric bill. After the customer gets her bill, Direct then signs her up for service. Direct does not ask the customer if she wants to switch suppliers; instead it implies that she must switch suppliers by proceeding through the transaction at a dizzying speed that is confusing to customers and barely gives them time to process what is occurring, much less object. These types of call procedures that instruct a customer to take certain actions in sequence, such as retrieving their bill, may imply to a customer that she must complete the requested the actions, including engaging in a conversation with the caller when customer may not be fully informed that the conversation is actually a sales transaction to enroll the customer for supplier services." The NOV states, "Conn. Gen. Stat. §16-245o(h)(3)(B) prohibits a supplier from advertising or disclosing the price of electricity in a manner that would 'mislead a reasonable person into believing that the electric generations services portion of the bill will be the total amount.' The Authority has reason to believe that Direct violated this statute by misleading customers into thinking Direct’s charge would be the sole charge on their bill." The NOV states, "The Authority has reason to believe that following [sic] is an example of a statutory violation. A customer attempts to rebuff Direct’s offer, only to be pressed by Direct’s agent. When the customer states that she already has a better deal and is looking at her bill to attempt to understand the charges, the agent says, 'A lot of the companies have a delivery charge and they have a customer charge and they have a recovery charge.' Late Filed Exhibit 2C, p. 65. The customer, untrusting but confused, asks the agent, 'You don't charge the transition charges, distribution --,' to which the agent responds, 'Ours is a flat rate. We don't charge anything else.' Id. at p. 66. While what the agent said is technically true, it is not true in the context of the customer’s question or of how it was being presented to the customer. The Authority has reason to believe that Direct was actively convincing this customer that the supplier she currently was with did charge her additional charges. By the end of the salesperson’s lengthy explanation, the customer appears convinced that the rate Direct is quoting her is the entirety of her price, whereas the rate she currently receives from her supplier, which happens to be lower than Direct’s rate, is not the entirety of her price. See also, Id. at p. 591 ('THE CUSTOMER ([...]): And there's no other charges that you charge? THE AGENT ([...]): No. No, everything is included in our rate. The 7.49 times your kilowatts, that's all you'll see on the bill with us as the supplier.'). The Authority has reason to believe that these calls violate Conn. Gen. Stat. §16-245o(h)(3)(B)." Conn. Gen. Stat. §16-245s states that a customer’s selection of a supplier must be confirmed through a TPV process or other means. The NOV states that a third-party verifier must be independent from the supplier, not indirectly or directly controlled or managed by the supplier, and that the third-party verifier must reside in facilities physically separate from the supplier. In short, the legislature attempted to ensure that the TPV process was independent of the supplier so that the process could not be tainted. The NOV states, "The Authority has reason to believe that Direct’s TPV process does not meet the legal requirements for TPV. The Authority has reason to believe that the transcripts of the recorded sales calls show that Direct routinely remained on the line or with the customer, specifically telling the customer what to say in advance of the TPV, and answering customer questions throughout the TPV. See, e.g., Late Filed Exhibit 2C, pp. 44, 47, 49, 578, p. 274 (Interrupting the TPV, Direct’s agent says, 'All you have to do is answer with a clear yes. If you ask them a question, they're going to hang up on you,' to which the customer responds, 'So I have to say yes; right?')." The NOV states, "Likewise, the Authority has reason to believe that, if a customer has questions during a TPV, the customer does not understand the transaction, a clear sign that the TPV should not be occurring." The NOV states, "The Authority has reason to believe that Direct violated this statute by collecting a cancellation fee of $200 from customers who received a Nest Thermostat upon enrollment." The NOV states, "Direct argues that this fee was not associated with a contract for electric generation services and was a device recovery fee, not a cancellation fee. The Authority has reason to believe that Direct’s argument has no merit. The fee was associated with a contract for electric generation services, as receiving the Nest thermostat was part of the process of completing a contract for electric generation services with Direct. Direct did not enter into a separate contract with customers for the sole purpose of providing them with a thermostat. Even if it had, the cancellation of the contract for electric generation services is what precipitated the $200 fee. Such a scheme undermines the purpose of limiting the early termination fee, which is to allow customers to more readily switch suppliers, or return to standard service." The NOV states, "Conn. Gen. Stat. §16-245o(h)(1) requires any third-party agent selling electric generation services on behalf of an electric supplier be 'an employee or independent contractor of such electric supplier, and (B) the third-party agent has received appropriate training direct from such electric supplier.' The law is clear – suppliers must directly train anyone selling electric generation services on their behalf." The NOV states, "Direct admits in its testimony and in its Reply Brief that it does not directly train its third-party agents. Instead, 'the third-party vendor who employs those agents provides the training.' Direct Reply Brief, p. 36. Direct attempts to circumvent the law by arguing that it does not contract with agents, but rather with third-party vendors; therefore, it is not required to train the agents because it has no contract with them. Using Direct’s logic to apply the statute, the third-party vendor could sell on Direct’s behalf, but no employee of the third-party vendor could sell on Direct’s behalf because Direct has not contracted with the employees. Based on the foregoing, the Authority has reason to believe that Direct violated §16-245o(h)(1)." The NOV states, "In addition to the actions cited above, the Authority has reason to believe that other aspects of Direct’s marketing violate CUTPA [Connecticut Unfair Trade Practices Act]. First, Direct does not make it clear in its marketing that at the end of the exchange a customer will have signed a contract with Direct and the customer must actively rescind that contract during the rescission period to get out of the deal. See e.g., Late Filed Exhibit 2C, p. 152 ([Y]ou're not signing any contracts. '); p. 354 (Customer states, 'I'd like to discuss it with my wife first,' to which Direct responds, 'Yes, sir. Well, what's happening, sir, we're just basically sending the information to you in writing, that's it. '); p. 17 (When the customer states that she will be on vacation and cannot respond to the written information within three business days, Direct says, 'All we do today is just go through the clerical information, a third-party verification, that way can you get your confirmation number, and that's basically it. That's so we can go ahead and secure the rate and get everything out to you in writing.'). The NOV states, "The Authority has reason to believe that Direct makes misleading statements during its marketing. For example, when the customer looks at her bill and says she sees '1942.00 kWh' Direct tells her that means she is 'paying 19.42 cents per kWh.' Late Filed Exhibit 4, Attachment A, [name redacted] Sales Call. Direct’s statement was wholly incorrect; the customer had used 1942 kWh during that billing cycle. Another example: 'Sometimes when you don't pick a supplier, your utility picks a supplier for you, especially if the rates are high.' Id. at p. 266. Not only is Direct’s statement inaccurate, but the Authority has reason to believe that it is designed to cause a customer to rush to leave a utility she thought was specifically picking a high rate. See also, Id. at p. 670 (In response to the customer saying that Sunwave was her supplier and complaining that her rates were high, Direct says, 'If you didn't choose a supplier, then someone chose that -- your utility chose one for you.'). Equally bad: 'This program is through the state of Connecticut and Eversource. So they're strongly recommending that you get a supplier.' Id. at 377; 398 ('This – this program is through Eversource, ma'am. They're strongly recommending that you choose a supplier, so you have a fixed rate on your bill.'). Neither the State nor Eversource has ever recommended, much less strongly recommended, that a customer get a supplier. Again, 'Even though you may not use a lot of electricity in the summer, that rate automatically goes up because it's summertime. Summertime and wintertime are where the rates go up on your light bill ...' Id. at 380. The Authority has reason to believe that Direct’s statements are untrue (standard service sometimes goes down in July) and deceive the customer into thinking Direct is offering him a deal because his standard service rate 'automatically goes up because it’s summertime.' Direct can also be heard telling customers that it takes up to three months for other suppliers to show up on their bills and during that three months the customer 'can rescind the offer.' The customer does not have three months to rescind an offer and might incur a cancellation fee (of which Direct admitted it would have no knowledge) when they try to rescind the offer two or three months after signing up." The NOV states, "Direct admitted during the hearings that it did not carry Spanish marketing materials with it during its door-to-door campaigns." The NOV states, "Section 16-245o(h)(2)(B) applies to any door-door sale process where the solicitation and sales are conducted at a place other than the seller’s place of business. Direct claims that not carrying Spanish marketing materials with it during its door-to-door solicitations is not a violation of Conn. Gen. Stat §16-245o(h)(2)(B). Direct argues that the statute distinguishes between sales and solicitations, and that the statute only requires that Spanish-language materials be made available for door-to-door sales, but does not require Spanish materials for the actual solicitations leading up to the door-to-door sales." The NOV states, "The Authority has reason to believe that the language of the statute, however, supports no such distinction. The requirement to make Spanish-language materials available applies to all door-to-door sales attempts where the seller intends to solicit and enter into a sales agreement at a place other than the seller’s place of business, whether or not the sales solicitation culminates in an actual sale ... The text of the statute in the instant case refers to sales in which the supplier 'solicits the sale.'' Conn. Gen. Stat. §16-245o(h)(2)(B). Therefore, the plain language of the statute in question includes both sales and solicitations, contrary to Direct’s argument." The NOV states, "Direct’s reading of the statute would produce absurd and unintended results. For example, a supplier could conduct door-to-door solicitations that violate municipal and local ordinances as long as those solicitations did not culminate in a sale. A supplier could also conduct a door-to-door solicitation at midnight, but must wait until ten a.m. to culminate the sale. Under Direct’s reading of the statute, a supplier would also not need to display proper identification showing she is an agent of Direct, and in fact could wear an Eversource badge, at the time of the solicitation, as long as at the time of the sale she met the requirement to 'prominently display or wear a photo identification badge stating the name of such ... supplier.' The legislature intended to prohibit, not permit, these practices. The plain language of subsection (h)(2) of the statute demonstrates clear legislative intent that the requirements listed in the statue apply to '[a]ll solicitations and sales' using door-to-door techniques where the seller solicits and seeks to enter sales agreements outside of the seller’s place of business." The NOV states, "Furthermore, the statute states 'Each electric supplier shall provide each customer ... a written contract that conforms with the provisions of this section.' The contract must comply with the provisions of the entire section; that is, each customer must receive a contract that conforms with all of Conn. Gen. Stat. §16-245o, including §16-245o(h)(2)(B)(iii), which requires suppliers provide Spanish written materials. As established, Direct did not provide any customer a contract in Spanish." The NOV states, "Direct argues that because a Spanish-speaking customer was able to say their name in English and say the English word 'yes' in response to questions in an English TPV process, the customer must be able to knowingly consent to the content of an English contract. It requires little understanding of English to say one’s name and to say 'yes' when a salesman instructs you to say 'yes.' By Direct’s own admission, many Spanish-speaking customers completing the TPV process 'understood little English.' Tr., p. 739. The Authority rejects Direct’s assertion that someone who completes an English TPV and signs an English contract must understand English. The Authority has reason to believe that the statute required Direct to provide Spanish-language contracts to native Spanish speakers. Direct has failed to do so. The Authority has reason to believe that Direct, therefore, has violated the statute in each instance in which it failed to do so." The NOV states, "Direct earned $54,918,600 in CT gross revenues in 2017. A fine of one million five hundred thousand dollars is appropriate given the volume of business done by Direct." The NOV states, "The Authority finds that the allegations in this Notice of Violation are particularly grave. Deceptive marketing violations go to the heart of the electric supplier market. The Connecticut legislature set forth a statutory scheme to balance the benefits of electric supply with the customer protections necessary to facilitate a fair market. If suppliers are allowed to systemically violate the legal protections, it erodes confidence in the entire supplier market system. The Authority’s response to such violations should be commensurate to the harm they cause to customers and to the market as a whole." The NOV states, "Based on the Authority’s review of only a small, random sample of Direct’s sales solicitations, the Authority has reason to believe that Direct repeatedly engaged in a pattern of conduct, described in the sections above, in violation of the various consumer protection statutes cited above. The Authority has reason to believe that Direct’s marketing system appears flawed and likely to harm customers. The Authority has reason to believe that Direct appears not to comply with legal requirements regarding Spanish contracts or what it must represent, may represent, and cannot represent in the content of its sales solicitations. Additionally, the Authority has reason to believe that Direct has not properly investigated and resolved legitimate customer complaints." The NOV states, "the Authority ... finds that a prohibition on accepting new customers and/or marketing to new customers for six months is an appropriate penalty for the severity of Direct’s alleged violations. Pursuant to the statutory requirements, the Authority will offer Direct the opportunity for a hearing regarding this penalty." The NOV states, "Direct’s alleged violations cause the Authority to question Direct’s technical and managerial capacity. Therefore, the Authority will continue to monitor Direct’s marketing actions for one year after its prohibition on accepting new customers ends. The Authority will direct Direct to maintain complete audio recordings of the entire interaction for all marketing calls made by it or on its behalf by any third party. To ensure Direct complies with all legal requirements, the Authority will periodically request and audit select audio recordings and will require Direct to produce transcripts of those recordings. Upon the Authority’s request, Direct will provide the Authority with the dates, times and locations in which it will conduct any form of marketing, including but not limited to telesales, door-to-door, and in-person marketing, and the Authority reserves the right to observe and audit such marketing in person. The Authority will establish other auditing procedures for other forms of marketing in which Direct may engage, including but not limited to, obtaining and reviewing the content of any electronic marketing materials published through internet websites, emails, or texts or any hard copy marketing materials used internally by salespersons, such as sales scripts, and/or distributed to prospective customers via mail delivery or hand-to-hand delivery."